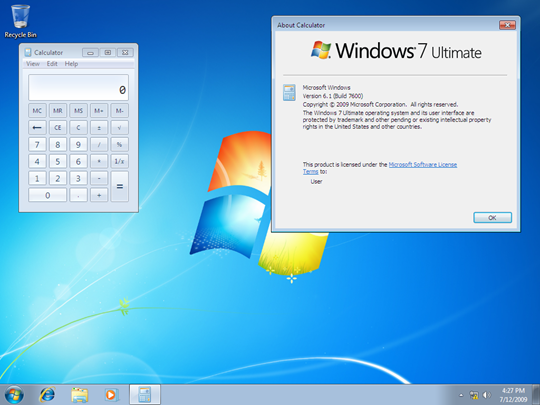 As we are getting close to the Windows 7 RTM, numerous builds are being touted as final. The only common grounds between them are the build number â€“ 7600. It seems like Microsoft has decided to name the final build as 7600, which kind of reminds me of Windows XP build 2600! Anyways. Note: I donâ€™t recommend that you install any of these builds yet. And that is because they still arenâ€™t verified as RTM plus you wonâ€™t be able to Activate them with the Beta and RC product keys. You would have to wait until October 22 to get your retail product keys.